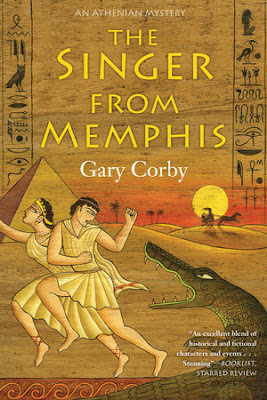 MY BOOK, THE MOVIE: Gary Corby's "The Singer from Memphis"
Gary Corby is the author of the Athenian Mystery series, starring Nicolaos, his girlfriend Diotima, and his irritating twelve year old brother Socrates. Corby lives in Sydney, Australia, with his wife, two daughters, two ducks, two budgerigars, and a brush turkey that is almost as irritating as Socrates. I've written one of these fun pieces for every book I've ever released, so my plan is not to repeat the series characters who appear in every book. Instead I'll look at the guest stars of The Singer from Memphis. Let me start with Herodotus. On the very first line, the Father of History knocks on Nico's door. Herodotus needs some help with research for a book he's writing. Nico can't work out why anyone would be interested in reading about history, but circumstances conspire to make him agree, and so Nico, Diotima, and Herodotus are off to Egypt. To play the part of Herodotus we must have Herodotus himself. That's so I can go all fanboy and visit the studio while they're filming and get his autograph. Next we have the singer from Memphis herself, a lady named Djanet. For Djanet we must have my literary agent Janet Reid, because Djanet is named for Janet. Also, after fawning over Herodotus I would totally stay to watch Janet act. Especially the part where she punches out my hero Nico. One of the more unusual characters is a fellow named Maxyates. Max grows the hair on one side of his head down to his waist, and on the other side shaves it to the scalp. Also he dyes his skin a bright red. Believe it or not, there was a tribe back then in which all the men did exactly this. To play Max I would cast David Bowie, for the simple reason that he's one of the few people who could carry it off. Next up there's the Head of the Public Service of Egypt. For him we must have Ernst Stavro Blofeld. Both gentlemen are fond of white cats. Also, I suspect the two of them would get along very well. Finally, I must find a role for Elvis Presley. The role of singer from Memphis is taken, so to him I give the role of Inaros, a Prince of Libya who claims to be The King. My Book, The Movie: The Pericles Commission. My Book, The Movie: The Ionia Sanction. My Book, The Movie: Sacred Games. My Book, The Movie: The Marathon Conspiracy. 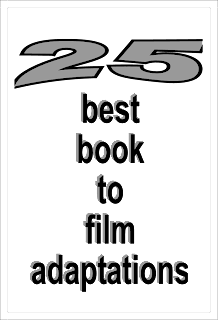 My Book, The Movie: Death Ex Machina.